Time for reveals! Click below to see who wrote/drew what - and then please continue to read and leave feedback! If you have not yet commented on your gift, please do - there is nothing worse than not hearing from your giftee! You are now free to repost your fic and art wherever you choose. If we are hosting your fic off-site (anything over 12K! ), please relocate your fic to somewhere more stable (your LJ, archive site, website) and provide us with the new link in a comment to this entry. We do not plan on keeping the server long-term, so in order that people can read your fic for years to come, relocation is key! Same goes for artists, who I'm sure will want to add their signatures to their pieces and post on their own archives, as well. Thank you again to everyone, especially those mentioned in this post. We couldn't have done it without help! Would like to add a new thank you to kriken for doing my bidding today and helping me catch up on tagging the entries and plugging in who wrote/drew what into all the posts. All done! Tara and I have had a ball doing this, though we also had some moments where we both were pulling our hair out! Because of that, I can definitely tell you ahead of time that we will be running a smaller, stricter fest next time! We haven't decided on too many specifics, but we will definitely be keeping the size closer to that of that last fest, aiming for three posts a day instead of four. If you have done this fest more than once and have been a reliable participant, don't worry, you will have a reserved space. "Reliable" means you turned in clean, recipient-appropriate copy in good time, and we didn't have to kick your story back for multiple edits. This is most of our second/third timers. For the rest, we are still trying to figure out the logistics of running a lottery system. But that's jumping the gun, eh? Sign-ups will be in August and we'll run the fest in December, just like this year. 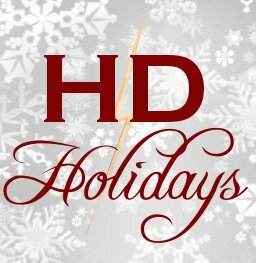 Those of you craving another H/D fest should check out hd_worldcup and hds_beltane in the meantime - they will be running in April and May, respectively. There should also be another round of hd_remix in the summer. YAY OMG!! *\o/* *looks at list* Few surprises there. Thank you so much for running this fest, you two. ♥ You're both insanely awesome. Thank you so much for running this! I haven't yet posted my fic elsewhere, but I'll drop a link here when I do. And THANK YOU ms_mindfunk! "Having a Bad Day" was one of the most interesting twists I've seen on creature!fic in a long time, and a very enjoyable story. ooh, so many excellent surprises in this list! thank you for such a stellar round of fics and art, dear writers and artists, and many thanks to the mods for putting it all together ♥. We haven't decided on too many specifics, but we will definitely be keeping the size closer to that of that last fest, aiming for three posts a day instead of four. I'm kinda happy about this -- it was almost impossible to keep up with four a day, and often I found myself skimming, or not giving fics as much of a chance as I normally might have before hitting the back button. This fest was lovely! Very excited for the next one of the near future! There was a lot of incredible fic and art this year, and now there's a list I can go back and read the ones I missed first time round which is always lovely! Thank you so much to you both, NQ Donne and Taradiane, and all the authors & artists for an absolutely fantastic fest! The quality of the work produced was simply outstanding, and I feel *so* spoiled that there are still lots of fics I have not yet had time to read. I sucked to an astonishing degree at guessing the authors. I did guess Mahaliem's wonderful story. That was the only one I got right! Some of my favourite fics in the fest turned out to be by writers that I am not v familiar with. This imo, is a fantabulous discovery! And thank you, sassy_cissa for my lovely story. I enjoyed it very much. I participated as a commenter and I see now I have to read a lot more of this wonderful stories. THank you to the writers, the artists and the mods for doing such a wonderful job. I'm "kestrel" with two es, not an e and an a "kestral". Just in case anyone clicks on the link. That was my fault - I apologize. I would just like to say that this was my very first fest, and it was simply amazing! Thank you, a million times, thank you to the wonderful mods! And I couldn't be more grateful to kayladie for such an amazing story! I look forward to next year's fest with much anticipation! Just wanted to add the archive link for Hope For Us All!